The market is experiencing rapid growth on account of growing demand from cosmetic, pharmaceutical, healthcare and other end-use industries. Owing to cholesterol lowering, anti-viral, anti-cancer properties of limonin is increasing its penetration across various therapies. Growing obese population is generating huge demand limonin extract to reduce cholesterol level is boosting the market growth. The latest report by Value Market Research expects the Global Limonin Market to reach USD 484.3 million by 2025. It was valued USD 387.2 million in 2018. The report foresees a 3.25% CAGR from 2019 to 2025. In 2018, 98% of purity limonin dominated the segment by accounting the highest market share. Rising demand of highest purity limonin from functional food & beverages, pharmaceutical and bio-pesticides are driving the segment growth. On the basis of application, healthcare and pharmaceuticals led the segment in 2018. The growing prevalence of cancer, obesity and cardiovascular diseases are boosting the demand of limonin in the healthcare and pharmaceutical sector. Regionally, North America led the market in 2018. The shift in trend towards usage of organic ingredients in medicines, functional food products, and skin care products are driving the regional market growth. Key players of the market are Aktin Chemical Inc., ALB Technology, Carbosynth, Cayman Chemical, Changsha Natural-ex Inc., Chemodex Ltd, ChemScene, LLC, TCI America, and Toronto Research Chemicals among others. 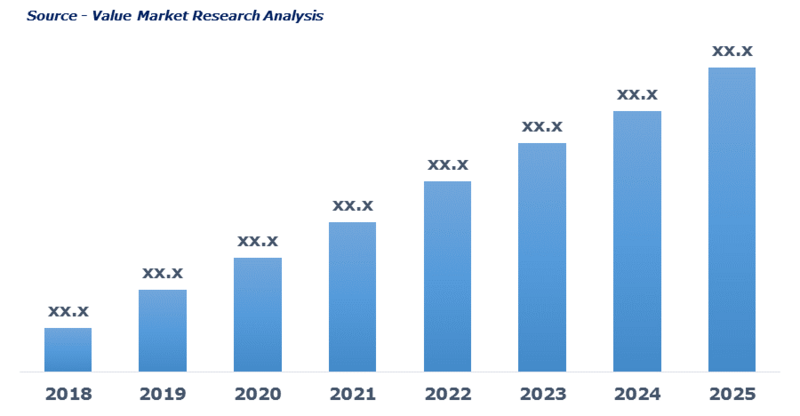 As per this study the Global Limonin Market was valued USD 387.2 MN (by revenue) in 2018 and is anticipated to reach USD 484.3 MN by 2025 with a CAGR of 3.25%. Limonin is the white colored crystalline compound, which is mainly found in the citrus plants. It is bitter in taste and can be extracted from seeds of oranges, lemon, and other citrus fruits. It posses anti-proliferative property and shows proapoptotic activities, due to this it is used for cancer treatment. Apart from this, it suppresses the growth of bacteria, lowers cholesterol, and improves cardiovascular and cerebrovascular circulation and other biological properties. Use of Limonin in curing cancer owing to proapoptotic and anti-proliferative property is driving the market growth. Rising demand of Limonin as a supplement is again boosting the market growth. In addition to this, high demand from end-use industries such as food & beverages, healthcare, chemicals, and others are fueling the market growth. This detailed market study is centered on the data obtained from multiple sources and is analyzed using numerous tools including porter’s five forces analysis, market attractiveness analysis, and value chain analysis. These tools are employed to gain insights of the potential value of the market facilitating the business strategists with the latest growth opportunities. Additionally, these tools also provide a detailed analysis of each application/product segment in the global market of limonin. The broad limonin market has been sub-grouped into product and application. The report studies these subsets with respect to the geographical segmentation. The strategists can gain a detailed insight and devise appropriate strategies to target specific market. This detail will lead to a focused approach leading to identification of better opportunities. Furthermore, the report comprises of the geographical segmentation, which mainly focuses on current and forecast demand for limonin in North America, Europe, Asia Pacific, Latin America, and Middle East & Africa. The report further focuses on demand for individual application segments in all the regions. The report also covers detailed competitive landscape including company profiles of key players operating in the global market. The key players in the limonin market include Aktin Chemical Inc., ALB Technology, Carbosynth, Cayman Chemical, Changsha Natural-ex Inc., Chemodex Ltd, ChemScene, LLC, TCI America, and Toronto Research Chemicals. An in-depth view of the competitive outlook includes future capacities, key mergers & acquisitions, financial overview, partnerships, collaborations, new product launches, new product developments and other developments with information in terms of H.Q.